Last week, the refurbished Wii U Deluxe with Nintendo Land bundle sold out on Nintendo’s website. The product has since returned however and can be ordered right here. You’ll need to fork over $200 for the bundle. 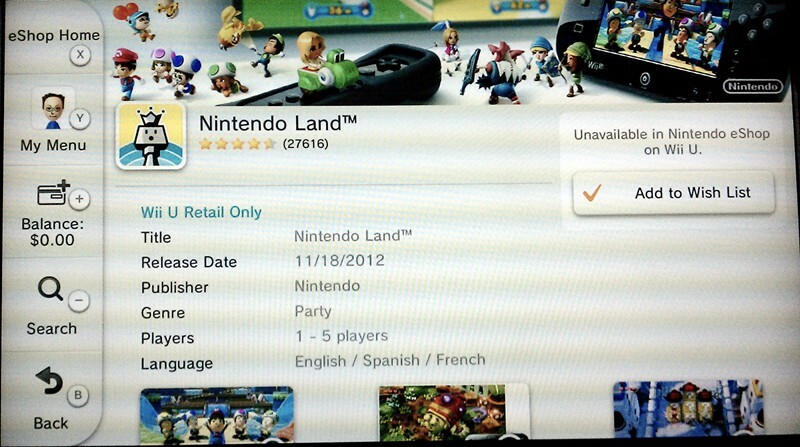 Nintendo Land appears to have been removed from the North American Wii U eShop. It’s simply no longer available for purchase as a digital download. This only applies to North America. As far as we know, Nintendo Land is still up on the European eShop. REDMOND, Wash., Nov. 1, 2013 – Nintendo has the best deals for the holiday season, and four of them kick off today. Nov. 1 marks the day consumers can find a lower price for Nintendo Land, a new Wii U hardware bundle, cool new accessories and a free trial for one of the most popular exercise franchises in video game history. These deals represent one of the many ways that Nintendo is bringing value and variety to consumers. If that’s not enough, an amazing new Wii U bundle featuring Skylanders Swap Force debuts on Nov. 15.